The HP Mini 210-3070NR is an portable option for those who want to take care of their daily computing tasks on the go. It is designed for surfing, checking your email, listening to music and staying connected to your social networks. In that it is extremely efficient. However, it is weak in the graphics department and does not support HD video playback. But you can watch all standard definition content on it. With a 10.1” diagonal WSVGA HP BrightView branded LED Backlit display, it has a very good looking screen that would give you a crisp view of all your photos, graphics and video content. The LED backlight also ensures a longer battery life due to better power efficiency. It comes with a webcam for video chatting on the go and carries the Beats Audio branding that indicates crisp and clear sound. Together with the display, this makes for a really good entertainment package for the price bracket. Graphics is handled by an integrated Intel GMA chip with a capacity for 256MB of shared memory. This is enough for some simple games and standard definition videos (both local and streaming). The 210-2070NR is powered by an Intel Atom N455 single core processor with 1GB od DDR3 memory. It comes with a 250GB SATA 5400RPM HDD storage, which is enough for carrying around lots of music, photos, all your documents and some movies. So if you are looking to work and entertain yourself on the go, this netbook will be able to handle all that you will be throwing at it. There’s also a media card reader that supports SD and SDHC cards for transferring data from your camera and similar. When it comes to multitasking, it can handle your basic surfing+music combination along with perhaps a document open on Word or Excel. However, too many tabs on your browser might slow your system down considerably. It comes with a 6-cell battery that is rated by HP at 9.5 hours. In real life situations, you can easily expect it to last 7-8 hours. If you are running the netbook on power saving mode and not doing too many processor intensive work, you might actually get 9 hours and more. The HP Mini 210-3070NR has a very classy finish with matte finish on the colored parts and a contrasting metallic finish along the edges and on the hinge. The keyboard sports well spaced out chiclet style keys, making it comfortable for typing. The touchpad sits almost at level with the palm rest areas but has a different finish that sets it apart. The touch pad comes with two buttons that are slightly wobbly but travel with a reassuring click. As is common with other netbooks of this size, there are two little stubs at the bottom on either sides of the screen in order to give the user a proper working angle when the netbook is set down on a flat surface. On the connectivity front the HP Mini 210-3070NR comes with a Wireless-N support along with backwards compatibility with B and G standards (802.11b/g/n). It has an Ethernet port, 3 USB ports (2+1), 1 VGA port and a combo headphone/microphone jack. Buyer reviews suggest an overall high level of satisfaction along with some complaints about the Windows 7 Starter Edition that comes pre-installed on it. The HP Mini 110-3730NR is a meant to be a lifestyle companion for its user. It is designed to be aesthetically appealing and provide the user with just enough resources to get through everyday computing tasks like checking email and surfing the web. This 10inch netbook is powered by an Intel Atom N455 processor coupled with 1GB of DDR3 RAM. The onboard Intel GMA Accelerator 3150 chip can receive up to 256MB of shared memory, which is enough to run standard definition videos and other basic graphics processing. It will only able to run basic games. The 10.1inch display has a native resolution of 1024×600 (WSVGA), which is perfect for a screen of this size. Any more and the on screen elements would be too small to read comfortably. The 3730NR comes with a 250GB 5400RPM SATA HDD as its primary storage. This is enough to store all the documents, music and movies that you might need whilst you are on the move. With battery that is rated at 8.5 hours of up time, the HP Mini 110-3730NR is clearly meant for doing simple tasks over a long period of time. As a lifestyle product, it is more focused on enabling the user to stay online whilst on the move and stay connected to their social networks and emails. The high-speed wireless-N WiFi support ensures that the netbook has high-speed data access wherever possible. The netbook has a smooth finish with a glossy lid that has an HP imprint on it. The keypad occupies all the available space and has chiclet style keys for comfortable typing. One good thing about the keypad is that it has dedicated arrow keys that do not have other combination functions. The palm rest area and the area above the keys have a matte finish and the touchpad is set in to its own area without blending into the palm rest. The touchpad is smooth and has two large click buttons. The over all design features very clean lines and smooth edges. It has two stumps below the screen so that the netbook is at an angle when placed on a flat surface. The screen has a black bezel around it and centered on the top part is the webcam. The screen also has an anti-glare coating in order to be easier on the eyes and get rid of reflections. The HP Mini 110-3730NR weighs less 3lbs and is 1.2inches at its thickest. This makes for a really portable machine that will easily fit in to your bag. Buyers reviews have some complaints about the slow speed and the Windows Starter edition that come bundled with it. However, there are ways to get around the limitations imposed by the starter edition that can be found online. And the processor is strong enough to handle simple tasks like web surfing and emailing. However, it is not strong enough to handle multitasking beyond that. The FCC has sprung a leak somewhere and through it we are getting all sorts of pre-launch news that is not supposed to reach the public. Through this channel we are getting new of new Asus Eee PC models that seem to be sporting the new Atom Pineview processor. Intel’s Pineview is the code name for the next generation Atom chips that will power highly portable devices. The Pineview has not reached a stage where it is available on models that are hitting the shelves in this pre-holiday season but they are going to start appearing early next year for sure. The new chips are expected to couple more processing power with better energy efficiency. The unannounced Asus Eee PCs that have been dug up differ from the current models only on the point of the processor being used. For the other things they are still carrying only 1GB of RAM and 160GB of storage. It can also be speculated that the design of the models will remain the same as well. So over all, people will get better multi-tasking performance but RAM-dependant tasks will still hit a bottleneck. However, since these are pre-release details, they might not remain the same when Asus finally gets around to making these models public. Since they are already on the FCC’s list pending approval, them turning up right before the holidays kick in is not very unlikely. Of the two models that have been found, at least one seems to be carrying a 3G modem onboard for mobile Internet connections. That should make the model very attractive to holiday shoppers, given the usually low price point of Eee PCs of that configuration. 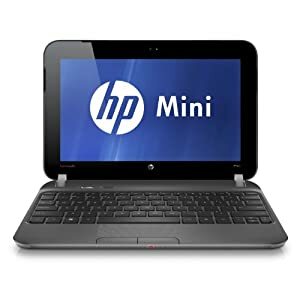 The HP Mini 311 has always been a netbook that has a nice set of features and a price that is reasonable. It had the NVIDIA ION LE, 1366×768 resolution (16:9 aspect ratio) and came with 1GB RAM and 160GB HDD. But there was no DirectX 10 support. That has changed. 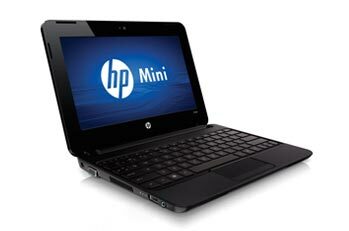 Now that Windows 7 is here and the HP Mini 311 is available with it, the specifications have changed for the better. For starters, the chipset is no longer stuck with the LE tag. That means it has the NVIDIA ION in full force with support for DirectX 10. It now comes with 2GB of memory and there is likely to be an option to upgrade it to 3 or 4 GB. Storage has been bumped up as well. You now get 250GB, 90 Gigs more than the previous version. There is the option to upgrade to a 320GB HDD or an 80 SSD. However there is always a tradeoff between price and performance. Hence this performance upgrade comes at a price to you. The previous price point of around $300 has become $400 for the new Mini 311s. The battery life on the older version used to be a nice 6 hours almost. But now that the full version NVIDIA ION is onboard, that is bound to change. No wonder the battery life has been left craftily out of the highlights. With specs in this state, it is likely that the battery life is around 4.5 to 5 hours depending on the configuration you choose. The thing that will decide the fate of all these PCs is how well Windows 7 performs and that can only be seen after the OS has been in use for a few months. Harelon has introduced a new concept to the world of netbooks – dual processors. That is not the same thing as a dual-core processor. This means the netbook actually has two physical processors that share the load of the processing. The Harelon Swordfish Net 102 Dual has two separate Atom N270 processors that share the work amongst themselves. While parallel computing is a usually a good idea, based on the philosophy of many hands make light work, its implementation in a netbook in this manner is not that good an idea. The main reason being the amount of power that each processor will consume. The dual processor configuration of the device effectively makes it consume twice as much power as a normal single Atom equipped netbook. The official battery life estimate reflects this exact same problem. Harelon says that the netbook will run for 3 hours. This usually means that in a real life scenario it will run for about 2.5 hours. The lower battery power hampers the portability of the device. So it will not be useful for those who want to use it unplugged for longer periods of time. However, for those who want a small device with more power than the average netbook, the Swordfish 102 might workout. Other than the dual configuration, the Swordfish 102 is as average as it gets. It has 160Gb storage (SATA HDD), Bluetooh, WiFi and a 10inch form factor with a 1024×600 resolution. But the 2GB RAM and the built-in 2G modem again sets it apart from the average Atom based netbook. This new configuration is not likely to see a lot of success in the open and highly competitive market but the price is quite competitive at $449. It is currently available from the official Harelon website. Viliv has been known for making small MIDs and tablets that are mostly part of the pock pc segment. They changed this image at the IDF this year by releasing the Viliv S10 Blade convertible tablet. This 10inch device is the first real netbook from the company. The S10 being a Viliv, there is a lot of innovation that has gone in to the making of this device. The S10 has a 10inch screen that has a native resolution of 1366×768 pixels. It runs Windows 7 and will offer some options for customization to the customer. There is a choice between a 1.33GHz processor or a 2.0GHz processor, both Intel Atom. Storage is in the form of an SSD, with an option to choose between a 32GB one and a 64GB one. Connectivity is taken care of by the usual WiFi and Bluetooth. There is an option to include a 3G broadband modem for those who want to surf on the go. The battery life that Viliv claims is quite good – 10 hours. That too with the battery not sticking out of the device but resting flush mounted with the rest of the components. Most extended batteries have the problem of jutting out of the device. The device is a convertible tablet and the touchscreen is resistive. There is no indication from Viliv whether the touchscreen will support multi-touch but it is clear that such a new device would be incomplete without support for multi-touch. A high degree of portability is a definite selling point for this device and it shows that the company has worked on this aspect. After all, a tablet that is not very portable is hardly a good tablet. The S10 has not been updated on Viliv’s official website and is not on sale at press time.